Post-Race Drink first a chocolate milk... then a beer! I'm a 37-year old wife, mother of two, and full time night-shift working RN Case Manager at a busy downtown Tampa, FL hospital! I started out as a runner after having my second child, and fell in love with triathlon about 4 years ago. I have completed 2 marathons, many half-marathons, and just finished my 3rd Ironman 70.3 race. Currently training for my first 140.6... Ironman Florida on November 3rd. I live in Apollo Beach, FL with my family and sweet chocolate lab Lucy. 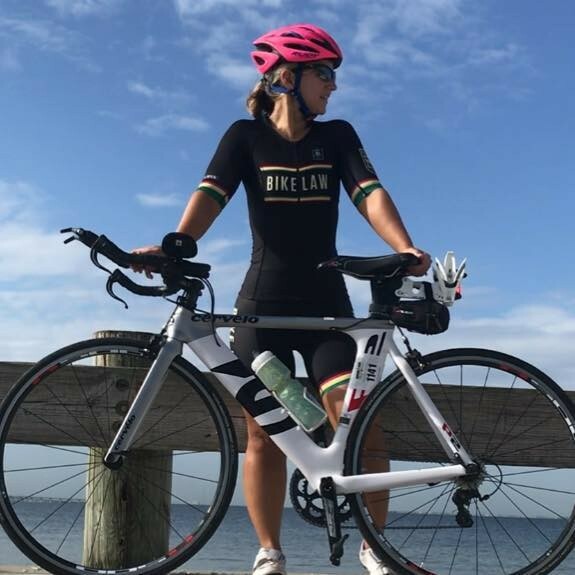 When I'm not training or racing triathlons, I love to be out on our boat, enjoying a day at the beach, in the kitchen cooking or baking, or refinishing furniture, one of my favorite hobbies.